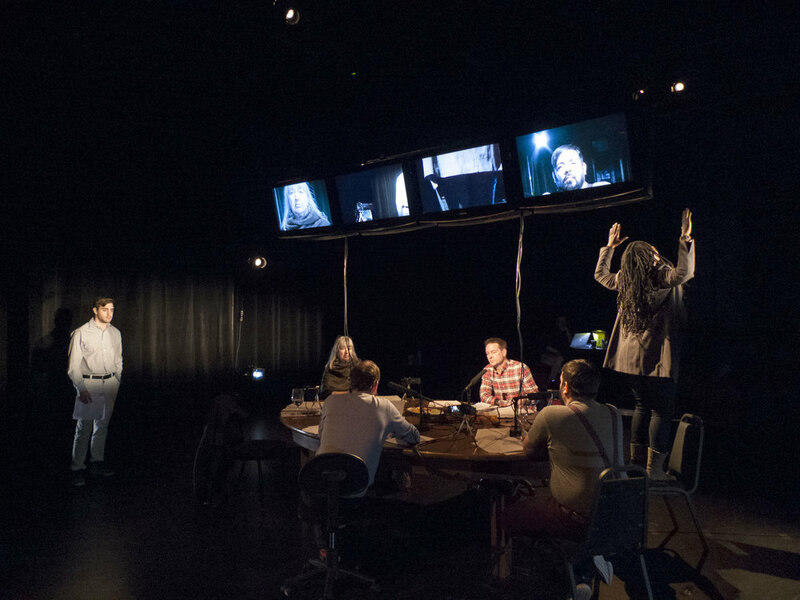 Each performance invites audience members to join the stage and participate in a long table where they can engage in difficult conversations about current events that affect their communities. 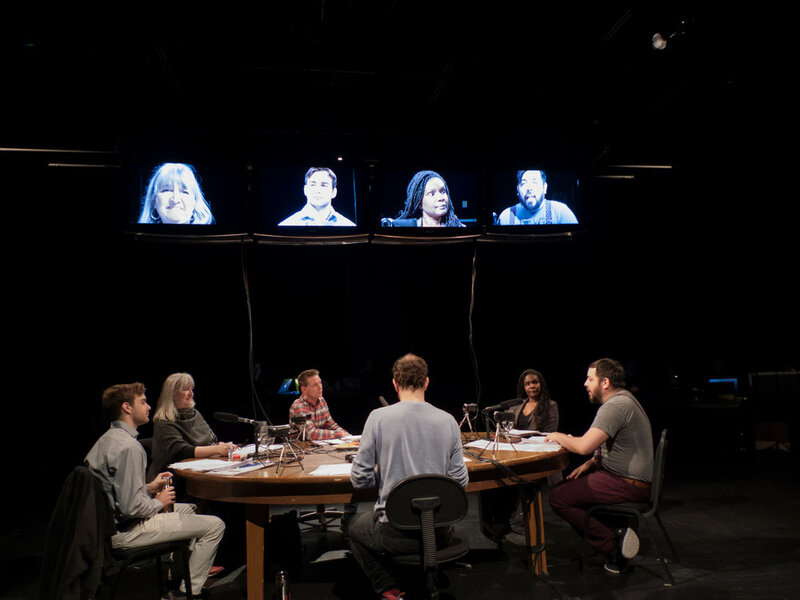 The Assembly/L’Assemblée is an attempt to put the broken and polarized pieces of 21st century political discourse back together again in the theatre. 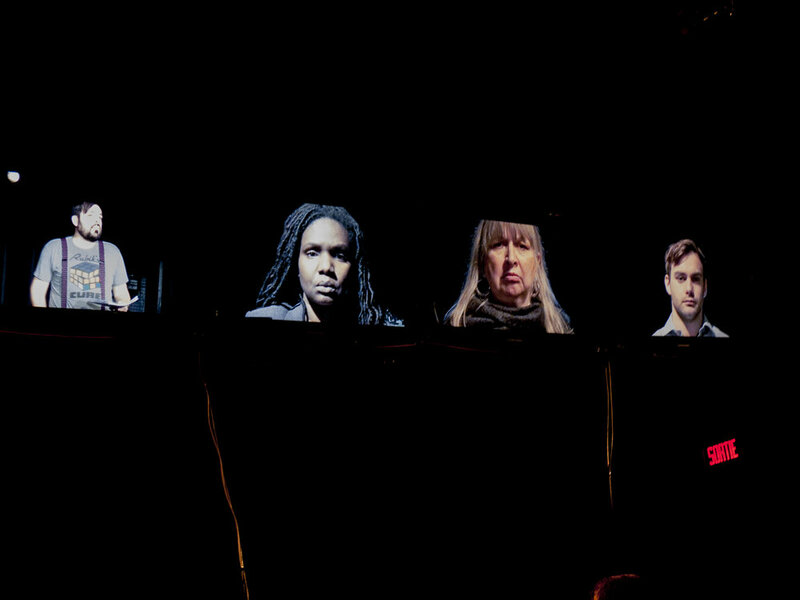 This bilingual serialized documentary theatre project started in April 2016 when Porte Parole Artistic Director Annabel Soutar commissioned actors Alex Ivanovici and Brett Watson to interview Americans who supported Donald Trump during the US presidential primaries. Since then, it has evolved to become a broader examination of the ideological dugouts where so-called liberals and conservatives huddle in isolation and become less able to speak rationally together about politics. 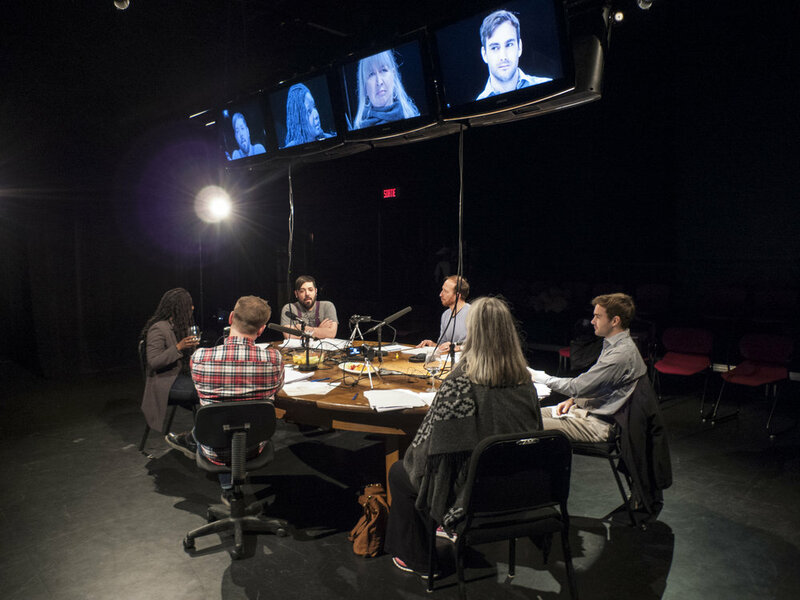 Since December 2017, playwright Annabel Soutar and actors Alex Ivanovici and Brett Watson have been organizing encounters wherein four Canadians of different backgrounds and ideological leanings face off and become accountable for the quality of public discourse. The recorded material from these discussions and interviews has been developed to produce different iterations of The Assembly/L’Assemblée. The Assembly will premiere at Crow’s Theatre in Toronto (fall 2018), followed by a run at Espace Go in Montreal (fall 2018).